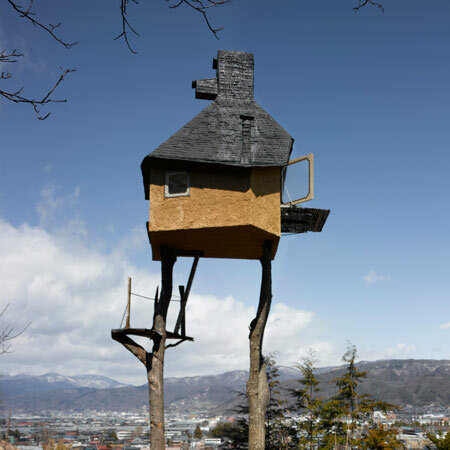 Publicat pe 3 septembrie 2014	de Cristi M.
Takasugi-an literally means “a tea house [built] too high” is a project of academician and architect Terunobu Fujimori. 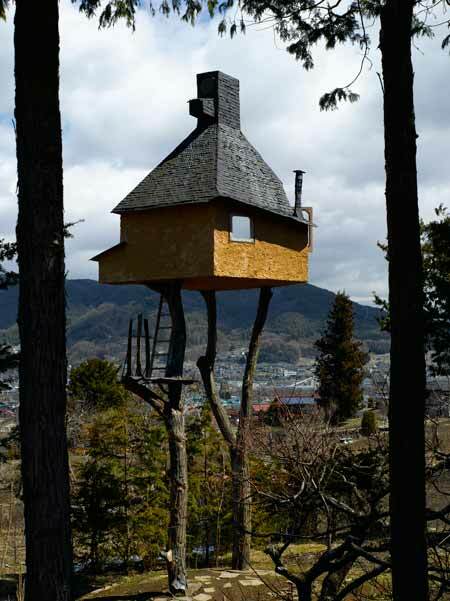 Built atop two chestnut trees it is accessible only by ladders.Following the tradition of tea masters, who maintained total control over the construction of their tea houses, Fujimori designed and built the structure for his own use. He finds that a tea house is “the ultimate personal architecture.” Its extreme compactness feels like an extension of one’s body, “like a piece of clothing.”Once inside, the simple interior evokes the serenity more suited to the purpose of making tea and calming one’s mind. Acest articol a fost publicat în Photos / Quotes și etichetat Chino, Chino Japan, japan, Terunobu Fujimori, tree house, Tree house Chino. Pune un semn de carte cu legătura permanentă. 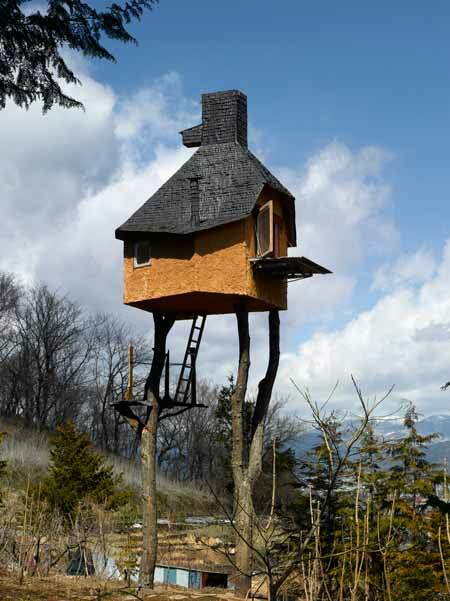 4 răspunsuri la Tree House, Chino, Japan. Fascinating. Thanks for the share, Cristo. Glad you like it. Thank you, Eric. Me too!!! 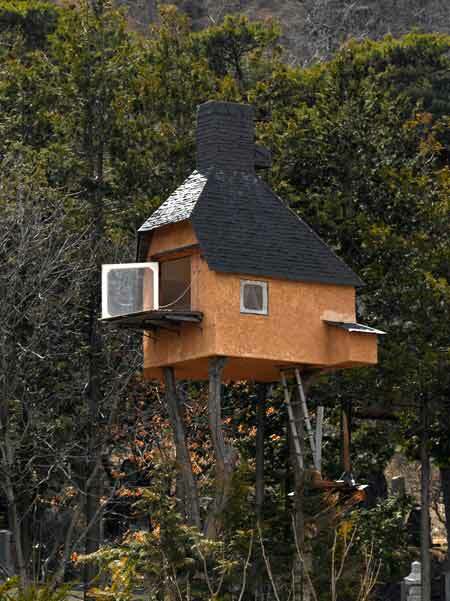 :)) I searched on the internet, but I can find any photo from inside.